Cross contamination is a fancy name for when bacteria on a kitchen tool transfers to food via direct contact. In the culinary arts, two of the most common kitchen tools usually tend to be a knife or a cutting board. However, it is not just bacteria that gets carried from one place to another—it could also be a virus or a toxin of some kind, or even a cleaning product. But whatever it is, if it comes into contact with someone's food, it's considered cross-contamination. And if they eat the food and it makes them sick, it is called food poisoning. 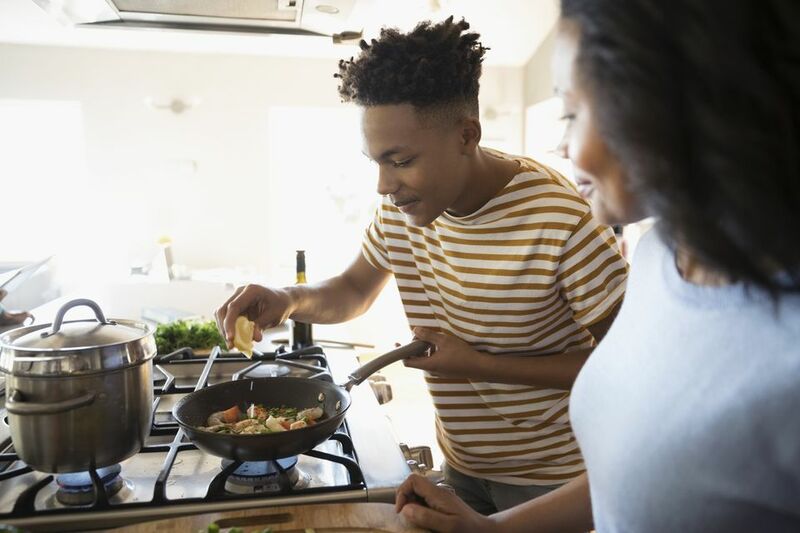 As a home cook, though, there are quite a few steps you can take and habits you can build to help reduce the likelihood of cross-contamination in your kitchen. Since dangerous bacteria are killed by high heat, the risk of cross-contamination is highest with food that doesn't need to be cooked. That's why outbreaks of salmonella poisoning are increasingly found to be linked to foods like sprouts and bagged salads, foods you might think of as innocuous or "safe" but are risky because they customarily aren't cooked. Cross-contamination can happen on a very large scale because of equipment at processing facilities not being cleaned properly, for instance, or any of the other numerous ways your food can be mishandled as it makes its way to your kitchen. This is why, from time to time, there are outbreaks of food poisoning, product recalls, restaurant closures, and the like. And, unfortunately, there's not much you can do to protect yourself at that level, other than keeping track of the news and using good sense in deciding which ingredients to purchase and where to eat out. When it comes to cross-contamination in the home, in nearly all cases, it is going to be caused either by your kitchen knife, your cutting board, or your hands (and once it's on your hands, it's on everything else as well). The knife and cutting board really are the major culprits, though, since almost everything touches your cutting board and the knife—cutting up food on a cutting board is, after all, a big part of cooking. Ultimately that means that preventing cross-contamination requires building habits such as frequently washing hands, utensils, cutting boards, and work surfaces. For instance, if you prep a raw chicken on a cutting board, don't use the same cutting board later to slice tomatoes for the salad. At least not without washing it first. And the same goes for your knife. This also needs to be practiced when it comes to the food, too. Even if that bagged salad says it's been washed three times, wash it again anyway. Same with sprouts. It can't hurt to wash vegetables even if you're planning to peel them, like carrots—it is an extra step, but when it comes to preventing cross-contamination, you are better safe than sorry. If you're not keen on washing the same items several times during the cooking process, then it makes sense to own a set of cutting boards and knives that you can switch out while you are prepping the meal. Using a set of color-coded cutting boards is a simple method for keeping bacteria from transferring from one surface to another. Many sets come with images (vegetables, chicken legs, etc.) on each board representing which foods to use: green for vegetables and fruits, yellow for raw poultry, red for raw meat, and so on. Pair these with using certain knives to cut certain foods and you are one step closer to preventing food-borne illnesses.